(TRR) – The Sonic Temple lineup is here. After the announcement that Rock On The Range would be no more, hard music fans in America were left wondering what was to happen next. Festival promoter Danny Wimmer Presents quickly announced their new project – Sonic Temple Art + Music Festival. Wimmer himself confirmed that the event would still be a “rock music” festival, but possibly featuring a broader range of acts. The inaugural lineup is set, and it does not disappoint. 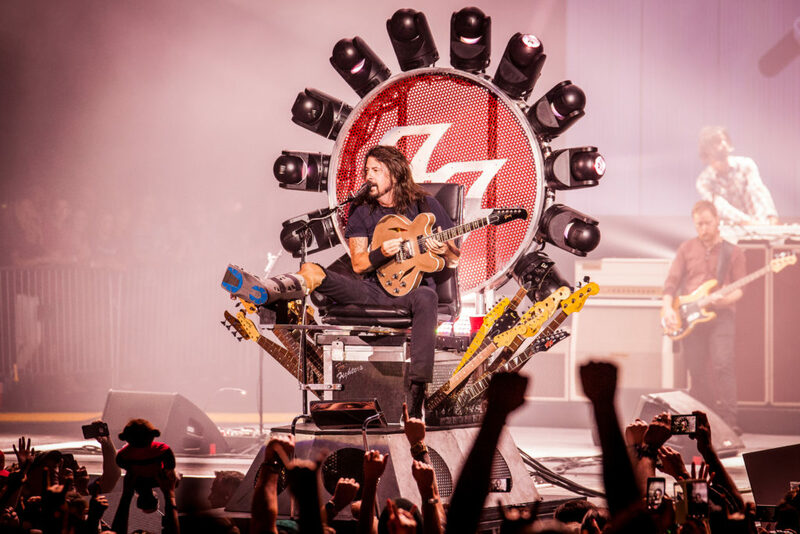 Foo Fighters, System of a Down, and Disturbed will headline the three-day jaunt next spring. 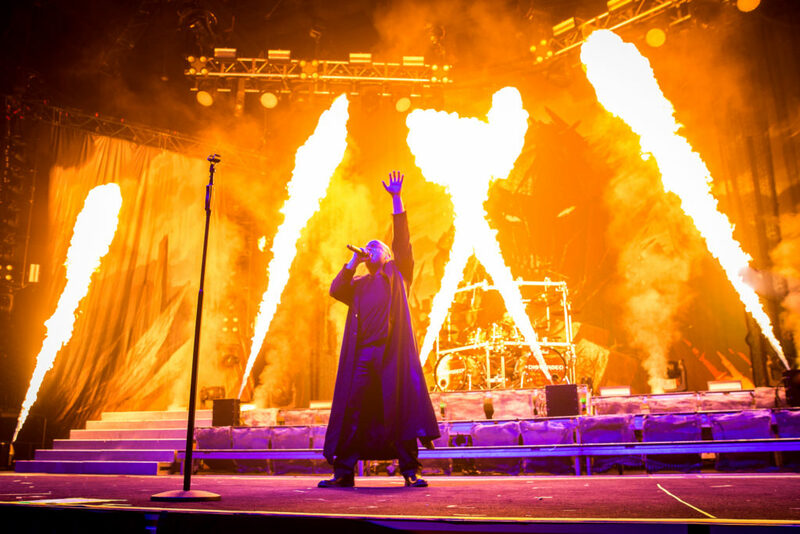 Other featured acts include Bring Me The Horizon, Ghost, and a rare U.S. performance by The Prodigy. Also on the stellar bill are Lamb of God, Chevelle, The Struts, Meshuggah, Parkway Drive, Killswitch Engage, Black Label Society, The Fever 333, Beartooth, The Glorious Sons, Palaye Royale, Black Pistol Fire, and more. System of a Down guitarist Daron Malakian‘s band Scars On Broadway will perform, and guitarist Tom Morello (Rage Against The Machine, Audioslave, Street Sweeper Social Club) will play a solo set. The Sonic Temple Music + Arts Festival takes place at MAPFRE Stadium in Columbus, OH on May 17-19. Tickets go on sale this Friday, November 30, at 12pm EST via SonicTempleFestival.com. Tagged danny swimmer presents, disturbed, Foo Fighters, Sonic Temple Festival, system of a down. 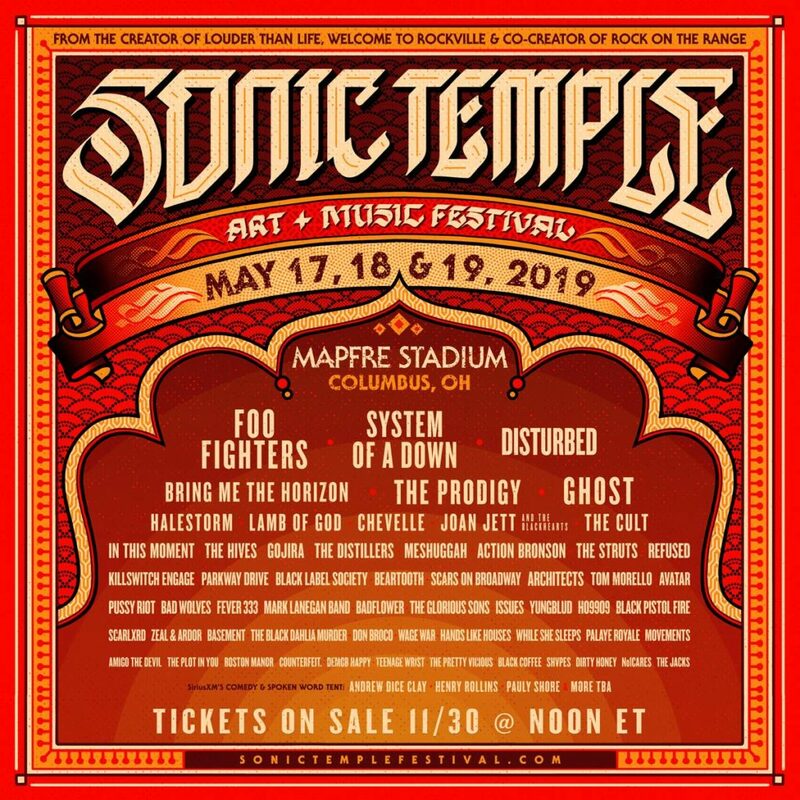 « Danny Wimmer Presents Teases Sonic Temple Art + Music Festival Line-up! Could It Be System Of A Down?